How Long Can Bed Bugs Live in an Empty House? Concerned about buying an unoccupied house that may be harboring an infestation of hungry bed bugs? Or maybe you’re just wondering if you can starve and get bed bugs out of your home by going on an extended trip? Unfortunately, the answer to how long can bed bugs live in an empty house is not as short as you may hope. So, how long can bed bugs live in an empty house? It depends on the temperature. When cold but not freezing, bed bugs can live up to 400 days without feeding. If the home is very hot or extremely cold, the bugs can die in just 20 days. That isn’t the whole story, however. Adult bed bugs can live longer without feeding than nymphs. Temperature plays an important role in their survival rate but humidity also matters. 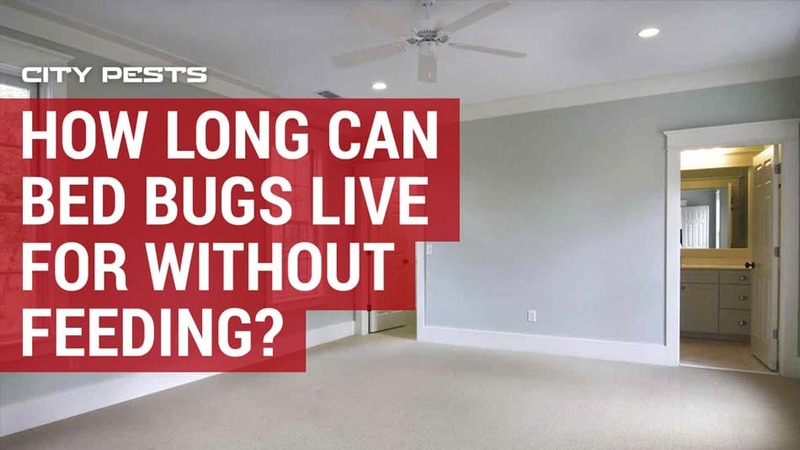 Here’s more information about how long bed bugs can really live in an empty house and the best way to exterminate them. 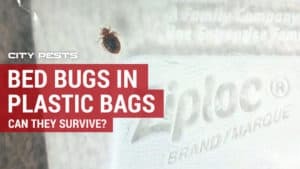 Bed bugs can survive a surprisingly long time without a supply of blood but their longevity will depend on the age of the bed bug and the temperature. When a bed bug hatches from an egg, its immature stage is called a nymph. Bed bug nymphs go through 5 stages before they mature into an adult. At each stage, the bed bug nymph must feed and molt. Nymphs must feed more often than adults and thus survive longer between feedings than adults. Freshly hatched nymphs can survive weeks without blood. With adult bed bugs, the story is a bit more complicated. Adult bed bugs try to feed every 3 to 7 days when they can. Still, they can survive very easily without blood. 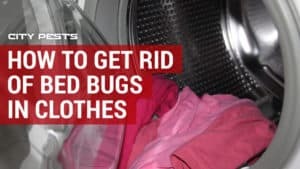 Bed bugs can lose up to 1/3 of their body weight, hibernate through cold temperatures, survive scorching heatwaves, and more without giving in. When food is scarce, adult bed bugs enter a semi-hibernation state to conserve energy. Depending on the species, adult bed bugs have been known to survive for 300 to even 485 days in laboratory settings without food following a large feed. The good news is an empty home doesn’t have the same controlled environment that is ideal for bed bugs. That means bed bugs won’t survive this long in an unoccupied home. Temperature plays a very big factor in how long bed bugs can survive. It’s difficult to make an environment cold enough to kill bed bugs but an empty house may just get hot enough to kill the adults, nymphs, and eggs. The hotter the temperature and the longer it lasts, the faster the bed bugs will die. While adult bed bugs may survive up to 400 days in 50-degree temperature, they can’t survive more than 275 days at 65 degrees. At 81 degrees, the survival time drops to 40-90 days. When temperatures are sustained at 99 degrees, adults are dead within a month. 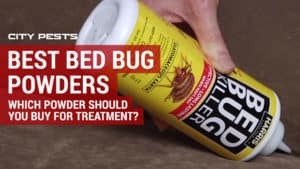 To be on the safe side, assume that bed bugs will live 12 to 18 months in an empty house assuming it’s really empty and there are no animals for the bed bugs to use as a food source. Will Bed Bugs Die if I Leave My Home? Yes, bed bugs will eventually die if a home is unoccupied. Anything will starve with no food source if left long enough. Just keep in mind this can take over a year. It’s also not enough to leave belongings uncovered. The mattress especially should be covered with a protective seal to prevent the bed bugs from moving around the home and finding an alternate food source like a mouse or rat. If the bed bugs are not sealed in the home, they can also travel easily. The absence of humans will make the bugs more motivated to find a human and they are more than capable of climbing over and through walls and under doors to track down a meal. Don’t assume a home that’s been vacant for a few months is bed bug-free. In an empty home, the bed bugs are just more likely to spread throughout the house and go into hiding in their state of semi-hibernation. Contrary to common belief, empty houses can even be difficult to treat because the bugs will not leave their hiding places to forage if they don’t sense carbon dioxide from a host. The good news is there are a few ways to check a home for bed bugs without using yourself as bait. 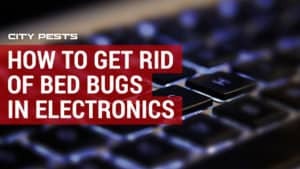 You can use active monitors to both encourage bed bugs to come out of hiding and get trapped. This is a fast and easy way to check if empty rooms are hiding a hidden bug problem within a couple of days. One option is the SenSci Volcano Monitor and Activ Lures (check price on Amazon). These traps give off a scent that mimics the chemicals on human skin to encourage bed bugs to come out of hiding and get stuck in the trap. You can also use bed bug interceptors (check price on Amazon) to monitor for an infestation. These interceptors are designed to go under bed posts and furniture legs to catch bugs trying to climb up furniture but they can also turn into very effective lures. Place several interceptors in every room with a piece of dry ice. Dry ice is solid carbon dioxide and an effective bait for bed bugs, which are attracted to the carbon dioxide we exhale. Bed bugs will come out of hiding when they detect the CO and become trapped in the interceptors. These traps can quickly indicate whether an empty house is harboring bed bugs. Have the chance to buy or move into an unoccupied home that happens to have bed bugs? Fortunately, bed bugs can be fairly easy to irradicate without the complication of furniture and fabrics. While the bed bugs are likely hibernating and hidden in tiny crevices throughout the home, this is the perfect time to utilize the most effective extermination method: whole-house heat treatments. 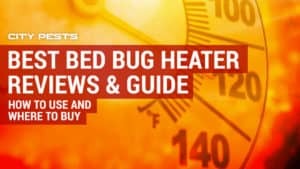 Bed bugs, nymphs, and eggs are eradicated at a fairly low temperature of 119 to 125 degrees for about an hour. A pest control company can use specialized equipment to heat your entire home for an extended period of time to kill all of the bugs and eggs, no matter where they are hiding. The downside is this treatment isn’t cheap. 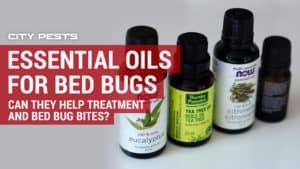 You can also use a DIY approach to kill bed bugs naturally but this will take time and dedication. What low temperature kills bed bugs? It’s possible but difficult to kill bed bugs with the cold. Bed bugs are very tolerant of cold weather and can lower their body’s freezing point. To kill bed bugs with cold, it takes below-zero temperatures for several days straight. What hot temperature kills bed bugs? Heat is the most effective way to kill bed bugs. All life stages, including eggs, are killed at 125 degrees F in 30-60 minutes. A lower temperature for a longer period of time is also effective. Whole-home heat treatment is effective at killing bed bugs even hiding in crevices. 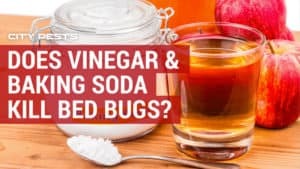 Do bed bugs bite animals? Yes. This is why bed bugs may survive an empty house at an ideal temperature. While humans are their preferred food source thanks to our carbon dioxide signature, bed bugs will also feed on dogs, cats, birds, and rodents. 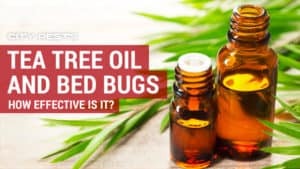 PrevPreviousWhat Scent Keeps Bed Bugs Away?